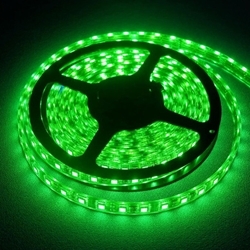 JS LED Light Strip is a low voltage (12 volt) Super Bright LED lighting in a flexible Waterproof thin PCB strip. The LED ribbon uses super flexible PCB board as base and adopts SMD Chip LED as its luminous body. Designed for the lighting professional, this lighting can be used for architectural lighting, sign letter light, concealed lighting perimeter lighting and many other applications. We also carry Warm White color and Waterproof version as well. It's small size and low voltage makes this lighting ideal for a wide range of applications.